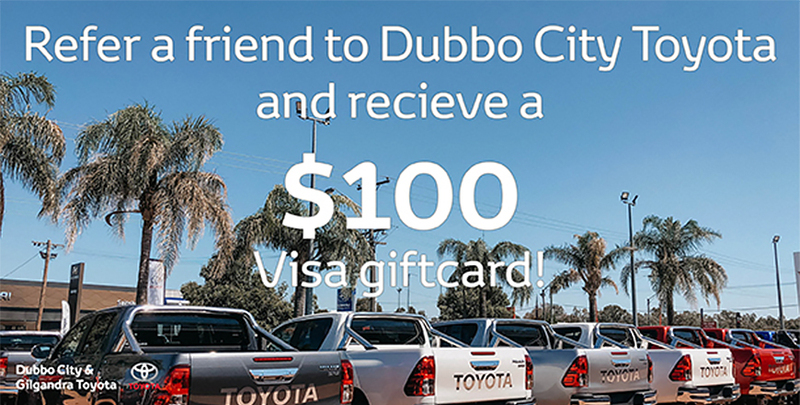 Did you have a great experience with the team at Dubbo City & Gilgandra Toyota? Make money from it! If one of your friends or family comes to the dealership from your referral and purchases a vehicle, you BOTH get a $100 Visa Card! It’s that easy! Ask our staff today for one of our referral forms. Terms and conditions apply, please contact Colleen Connor for further information.